Xsided is digital fun and engaging entertainment for spectators at large events. With the Xsided technology, the organisers and sports clubs are now able to bring their sponsors and fans into play before, during, and after the event. Participating in the Next Step Challenge program is time well spend, they claim at Xsided, where they find the program useful and a great help on the way to more growth and success. “We got new perspectives and new insights from the very relevant advisory board we were connected to, and from the ‘guru’ Joe Pine. It is truly giving to have feedback on your business plans and being challenged on your strategies,” explains Tommy Jensen, Co-Founder of Xsided. Xsided is working with one of Denmark’s largest sports organisation, DIF – Danmarks Idrætsforbund. 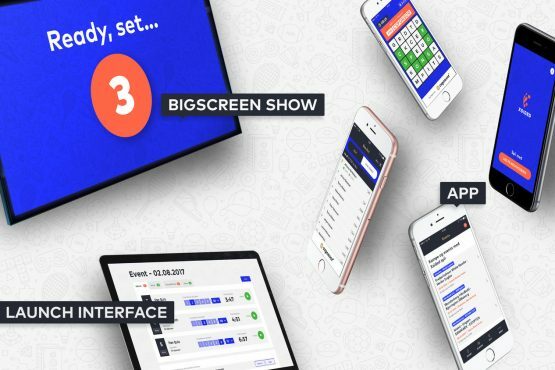 Their Innovation Lab is constantly developing and testing Xsided’s digital entertainment platform. The collaboration ensures a better fan experience at sports and cultural events. Everyone in the audience can play at the same time. Sponsors get more value by contributing to the entertainment. It’s easy for the organisers to use. And it requires a minimum of time and effort.